Last Wednesday I had the luxury of driving down to Music City to cover my first show in awhile and I couldn’t be anymore excited because I got to relive my teen angst years. Emo… we all had our phase. Some of use grew out of this phase with our appearance but have any of us truly fully moved away from it with our taste of music? I for one, am still on this kick. The show you ask? The 15 year anniversary tour of “When Broken Is Easily Fixed” brought a STACKED line up to Nashville. Playing the album from front to back hearing some songs I first heard live in 2004 made me not only feel old but also at home as it brought back memories of listening to that album over and over again. Silverstein was one of my favorites growing up but there was one album that stood right next to WBIEF and that album was released in 2004 by the band who happened to be direct support on this tour, Hawthrone Heights. 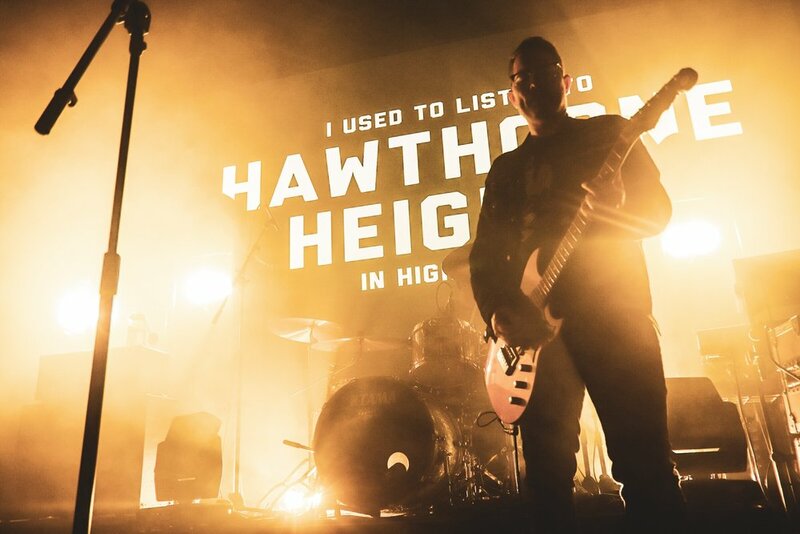 Riding the tag line of “I Use to Listen to Hawthorne Heights in High School” (because its true) the proved with their live performance that they should still be held in the same high regards TODAY. Playing each of their old hits while playing newer songs from their newest album, Bad Frequencies, the crowd kept its energy throughout. Singing back every word while being pushed up to the stage because the sad excuse of a barricade that was provided you could tell the room was captivated. Some fans knowing the new songs over the old, a band doing their thing for almost two decades now has drawn such a wide range of fans and still continue to attract more today. So I am calling you out… my friends who had Silence In Black & White in their teenage years… take a shot and hop back on board because you won’t regret it. Bad Frequencies was one of the best Rock/Alternative releases of 2018. Singer J.T. took a moment to speak to the crowd about who Hawthorne Heights is what they have been doing but most importantly where they came from. Emphasizing never forget exactly that fact.. where you came from. They’ve loved, they’ve lost and just like all of us they have felt emotions that life brings on. Paying tribute to late friends Casey Calvert, John Beatz of Bayside & more brought everyone together for a real intimate moment of remembrance, stating that as long as we stand and bring good to the world and be “nice” to one another this crap world we may live in today will surely turn around. We are the voices and we can promote change.